We are located at Bicester Heritage, Building 90, The Main Stores, Buckingham Road, Bicester, Oxfordshire OX26 5HA. 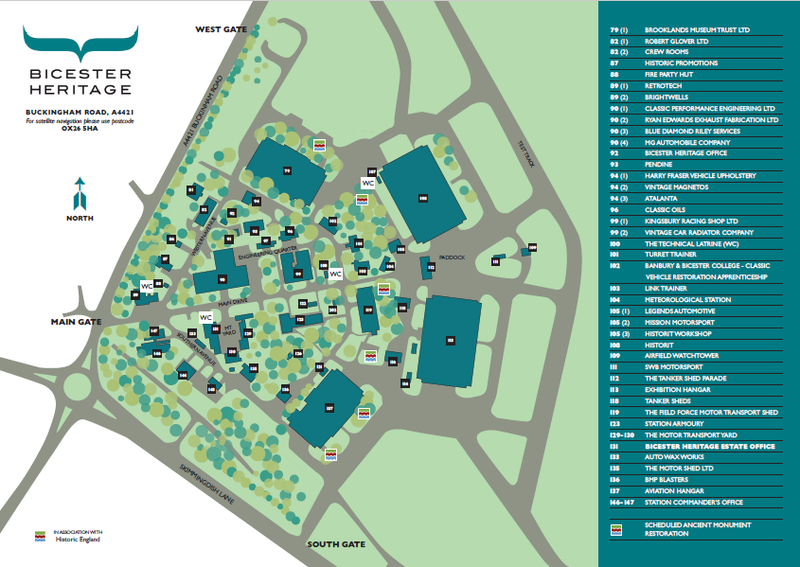 The Bicester Heritage campus map shows our exact location, but please call +44 (0) 1235 426251 if you have any troubles and we’d be happy to help. We are open from 8.30 to 5.30pm Monday through Friday. Circa 4 miles from either junction 9 or 10 of the M40, 15 miles south west of Silverstone. Around one hour, 60 miles from Central London. Head for post code OX26 5HA. We are less than one mile from Bicester North Station, and two from Bicester Town. Approximate journey times are 45 – 60 minutes from London Marylebone, 25 minutes from Oxford. Club and noggin visits are welcome by prior appointment, just drop us a line and let us know and we will sort everything out at our end!